I've seen this experiment being quoted all over the Internet - good virality I guess. But I have not seen anyone talking about the alternative hypothesis - that maybe more important than the children's will power in this experiment was having faith that strangers in laboratory coats would keep their promise. Interesting citation of the marshmellow experiment but the link sourcing your claim about x% of people doing xyz not being poor is an essay with no citations written by a pastor for an online magazine done with 1997-style HTML site design. It somewhat undermines the credibility of the claim, not that a pastor can't write up a scientifically sound study, but that there lacks any hard data to research for someone curious how such a specific assertion came about. I doubt there is a casual link between getting poor and getting married, Eric. Maybe the pope believes it, but I don't. It's just a proxy for another effect. Patrick: the cite was just to show I wasn't making it up...it's a well-known factoid by William Galston (adviser to Bill Clinton), quoted by Cal Thomas, and quoted in that link by a pastor. But if you dispute the fact, great, facts are easier to resolve than theories (presuming you really want to know, which is often not the case). IMO The book of proverbs from the bible is incredibly good on the subject. BTW Wisdom is doing now what will bring good results in the future. Focusing on improving willpower is a good self improvement tool that I applaud. But essentially you're saying it takes willpower to improve willpower, and so I doubt it's a solution for the 1%-99% divide in society. How it that different from it takes money to make money? People don't consciously choose whether they will go on to get an education or get married. Free will is a lie. People don't choose their genes or the place where they grow up. Both of those factors shape every aspect of a person's brain, which then determines that individual's life (unless they get meditation of extensive therapy). The 1% didn't choose to be wealthy and the 99% didn't choose to be less wealthy. Human society is a complex system based on evolution where people act according to decisions made by long-dead primates. What you're referring to by willpower is the "Big Five" personality trait of conscientiousness, which has a neurological basis (mainly involving the frontal cortex and limbic system). Check out the work of Nora Volkow on addiction, for example. Smart neuroscientists like David Eagleman and Sam Harris present evidence that free will is an unscientific concept. zby makes a very interesting point about counterparty risk to strangers in lab coats. however, consider what the cost is to the kids to wait and find out if the labcoats make good on their promise. face value seems that there would be zero cost for the option to find out if the second marshmellow arrives. guess we won't know if the kids felt threatened that the first marshmellow would be taken away, but an argument could be made the first marshmellow would taste more delicious if they waited - and especially more so if the second marshmellow were not delivered as promised which would be a value-add to waiting. bottom line... i guess my opinion is that the conclusion in willpower is more interesting than the virality of the study. good thought though. If you compare how often the marshmallow experiment is cited to the substance of the original experiment, you'll be amazed. Suffice it to say that it would not be at all convincing to draw grand conclusions about society and human nature if your priors did not align with it. I would also question the premise that income is highly correlated with hard work. There is a relationship but let's get real here. The most reliable way to make a lot of money is to hang out near a lot of money. Investment bankers, private equity guys, etc. make a lot of money because they work on big dollar deals with relatively small teams of people. Same thing for well-paid lawyers -- you get rich by being near huge flows of money and skimming a little bit off the top. Now yeah sure, these guys are pretty smart and conscientious, work incredibly long hours, have pretty stressful lives, etc etc. But you can be smart and work hard and so on and not make so much money. You can tackle challenging social problems, you can work on the frontier of human knowledge and technology, whatever, nothing beats getting close to someone else's giant pile of cash as they move it around. The other way to get rich is by being a wildly successful entrepreneur. But this is kind of like finance, there are only so many people in a society that this strategy can work for. What a pile of pants! 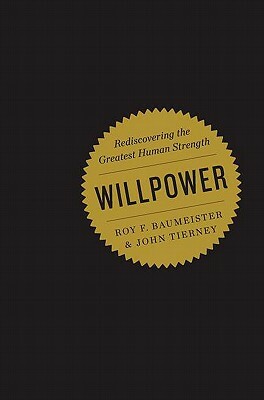 A good Christmas gift for the poor would be Roy Baumeister and John Tierney's Willpower, a great little book with timeless advice. Many poor people don't have the literacy level to read such a book (I'll spare you the statistics, but you can easily google the literature). Thinking that poverty is a problem of willpower shows your ignorance about the subject, both at the academic and maybe more importantly at the human level. There is no redistribution scheme imaginable close to this in reducing poverty. What about investing in free and universal education? Did Charlie Sheen wait for the second marshmallow when he was young? I guess he did, and now look at him go. I waited also, because I don't like marshmallows and I thought I could trade two of them with my sister for a cigarette (a chocolate one of course). It's interesting the relationship between trust in people in white coats, patience, will power, and desire for marshmallows. And anyway, if enough people showed enough will power, then everyone would be a doctor or lawyer and everything would get really dirty because there would be no one to clean things. So I don't like the idea of giving people this book. "What about investing in free and universal education?" We already spend plenty on free and universal k-12 education -- 7% of GDP, versus 4% for defense. We spend more per student on primary and secondary education than Japan does. We spend more per student than Germany does. I'll be sure to pick this book up. On a related note, if you haven't read Baumeister's book, Is There Anything Good About Men?, it is excellent as well.